The Simon Says Stamp May 2018 Card Kit arrived yesterday and I couldn’t wait to play with it. These are the first two cards I made with the kit. I used stacked die cuts and some tone on tone stamping. 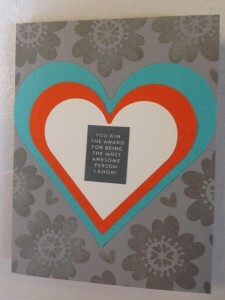 Extra Details: I began these cards by die cutting some hearts from the card stock included in the kit. I used the negative spaces on Card one. I adhered them all to a grey card base. I stamped the sentiment in a dark grey ink. I stamped leaves in a blue ink to the top layer of card stock. I stamped the same sentiment on the ivory heart for the second card before adhering it to all the other hearts. 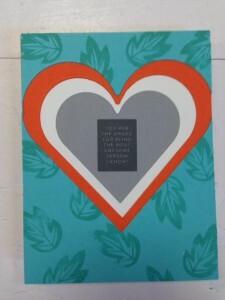 I added some grey flowers to a grey card base before adhering the hearts to another grey card base. These cards turned out great. I love the colors. 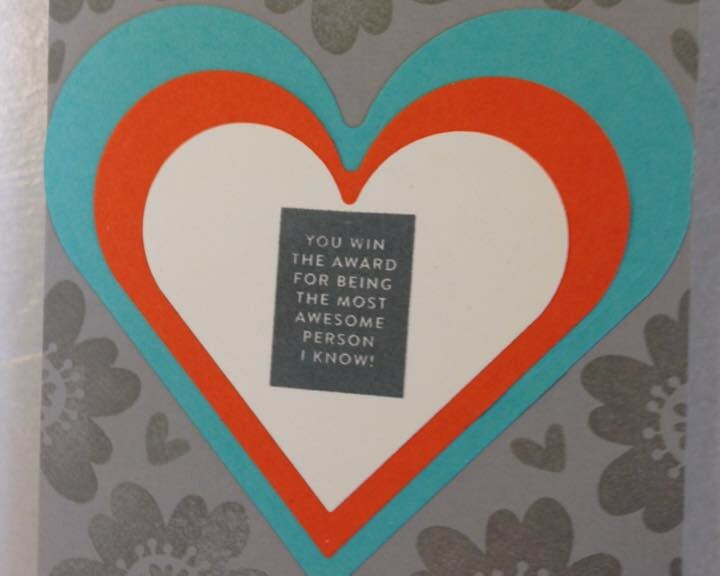 What a totally smile-inducing card! I was grinning from ear to ear because of that sentiment. And you made it look so beautiful inside those nestled hearts! Great use of color and shapes here and I’m so glad you took the time to share the finished product with us for this week’s Simon Says Stamp Monday Challenge! Thanks! That sentiment is my favorite in that whole giant stamp set.